Mar 29 2016 by Ingrid Velasquez. 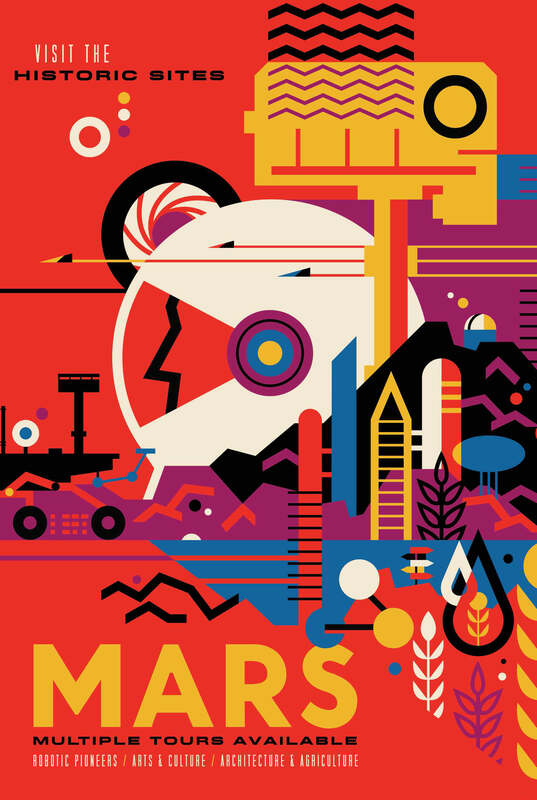 You may have seen “Visions of the Future,” a series of posters that NASA’s Jet Propulsion Laboratory released in February. 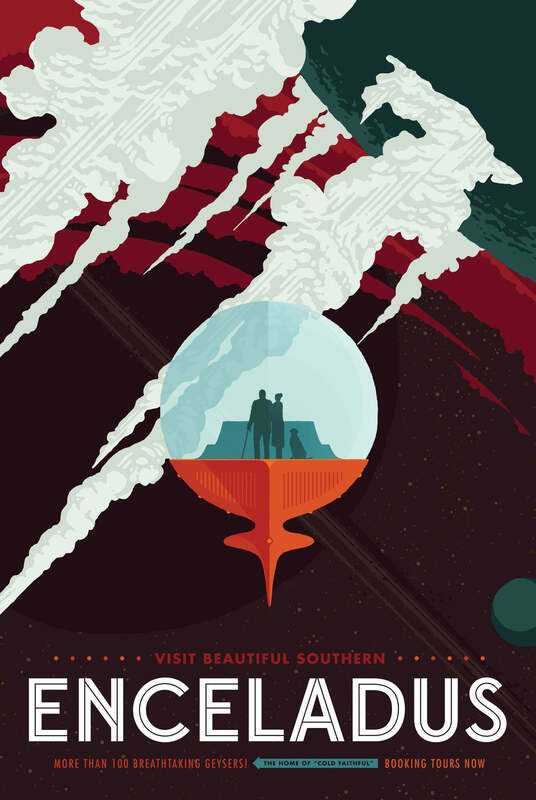 It’s a gorgeous, futuristic-but-in-a-retro-kind-of-way set of 14 images that promote various spots in space as if they were travel destinations for everyone (which, by the way, is Mach 30’s ultimate goal). We’re giving away free prints of these, so if you want one, you should join our contest by signing up for our newsletter. 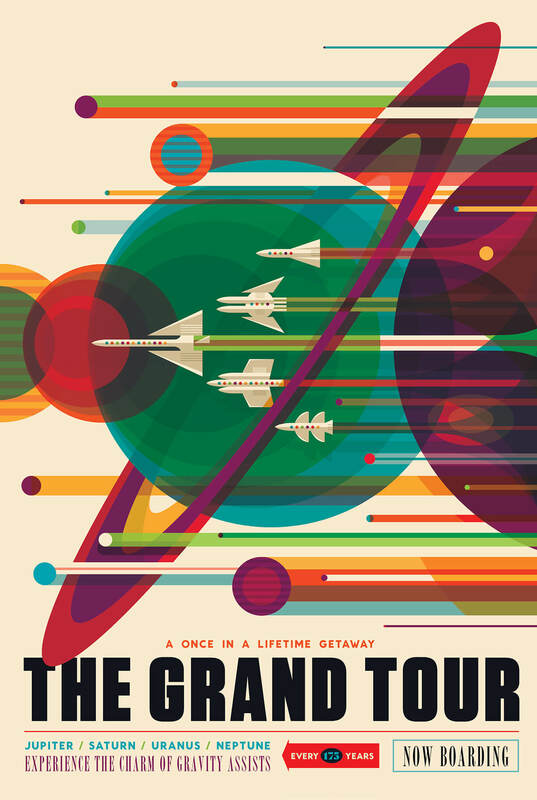 In one of the posters, you are urged to pack for “The Grand Tour.” This is a trip which can only happen once every 175 years, when Jupiter, Saturn, Uranus, and Neptune align. 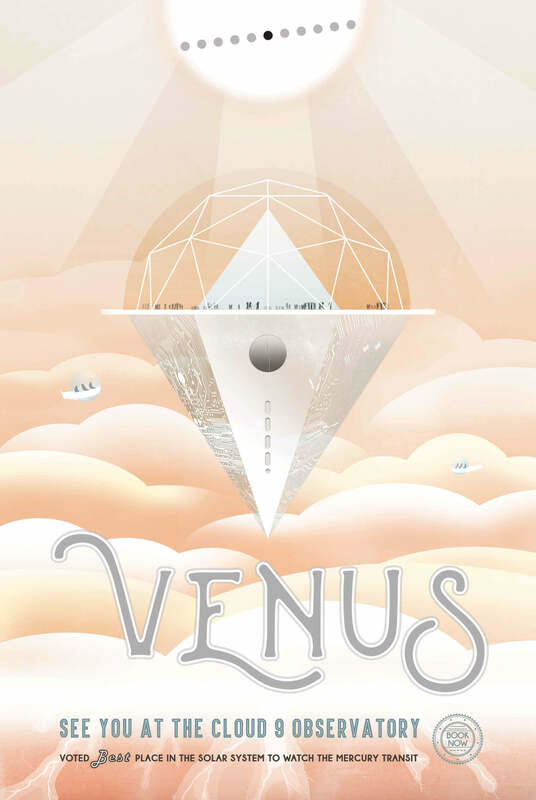 It was the route the Voyager 2 spacecraft took in 1977, where it revealed details about the outer planets. Mission accomplished, don’t you agree? 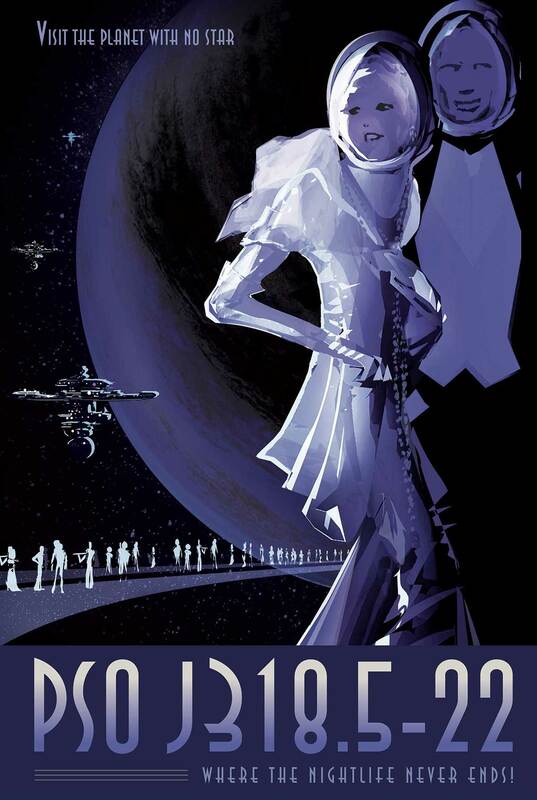 Anyway, the important question is this: do you want one of these NASA posters so you can hang it up on your bedroom or living room? (Or wherever you like to hang your posters — we don’t judge.) You’re in luck, because we’re giving away five prints! All you have to do is sign up for our newsletter between now and April 15th. After that, we will randomly pick five subscribers who will get to choose the poster they want, which we will then print on 11×7 paper, and mail to them! Bonus: you’ll get an extra entry when you share the contest on social media (one bonus entry per network). Please note that as of now, we can only pick winners from subscribers who reside in the lower 48 states. Unfortunately, Mach 30 isn’t able to afford worldwide shipping at the moment. That said, we’d very much like it if you still subscribe to our newsletter even if you can’t win. Remember, every little thing goes a long way towards making open source spaceflight a reality! Click here to join our mailing list. Good luck! 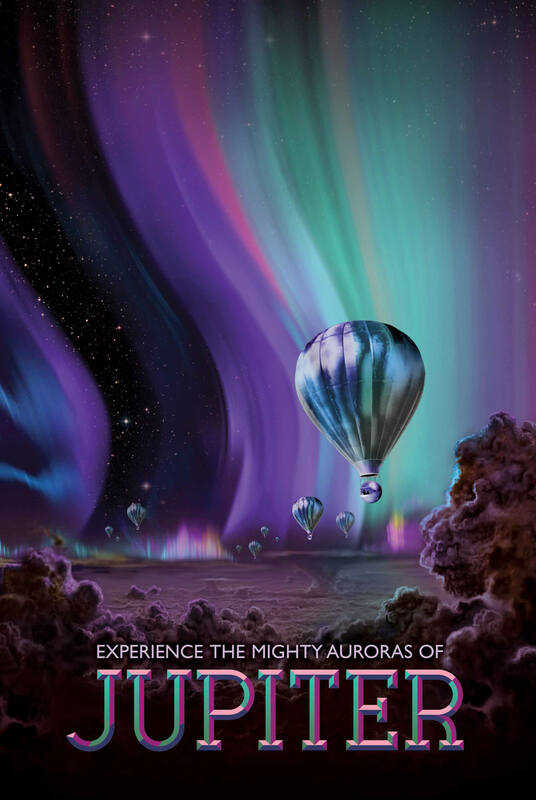 Learn more about Visions of the Future.